Stafford Brothers Old Logo T-Shirt is the only cool dj t-shirt with super soft design you really need to wear in the night club or electronic dance music festival. It can make your style look expensive and awesome. Nothing comes between you and your favorite DJ, except for this Stafford Brothers merch. Made by order for fans. 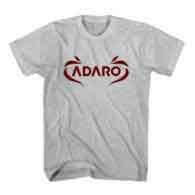 Stafford Brothers Old Logo T-Shirt is one of best selling dj apparel in USA, UK and Europe, selling by Ardamus.com. 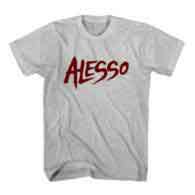 We have the biggest selection of tee shirt inspired by Top 100 DJ in the world from DJ Mag. If you are fan of famous DJs, whether its music, video clip or his appearance, then I’m 100% sure you want to have some merchandise of that DJ. 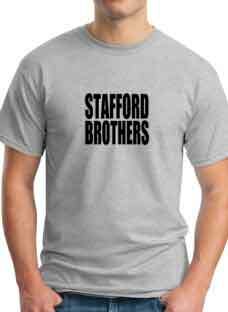 We sell many Stafford Brothers merchandise that can be worn during music concert or music festival. 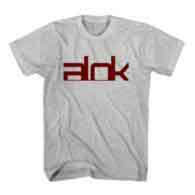 DJ clothing usually contain design of DJ’s name, logo, slogan, face, photo or the title of the song or album. One of our collection is Stafford Brothers Old Logo T-Shirt. 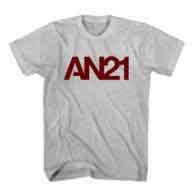 Buy this cheap dj t-shirt online at affordable rates. Price for this Stafford Brothers merch from USD $13 excluding tax and shipping cost and you will get cool dj t-shirt although it is not dj shirts with lights. We have same shipping cost for all customers worldwide. Stafford Brothers Old Logo T-Shirt as seen in Pinterest or Instagram. You might be like to see and explore more products from Ardamus.com DJ clothes store to find dj hoodie, dj sweatshirt, and dj t-shirt ideas. 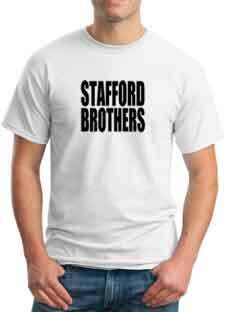 Match this Stafford Brothers T-Shirt with our Stafford Brothers hoodie and Stafford Brothers trucker hat collection. Stafford Brothers Old Logo T-Shirt design is just inspiration for you as Disc Jockeys (DJ) and clubbers. We will help you to create your own custom dj t-shirts with funny design or just simple quotes. You can modify the colors, adding text or image, and whatever you want.